Global management strategies for antimicrobial resistance (AMR), such as those developed by the World Health Organisation, highlight gonorrhoea as a priority infection to manage, with more effective use of diagnostic tools listed as a key focus for future development. The Health Secretary Matt Hancock, launched the UK government's 20-year vision to combat antibiotic resistance at the World Economic Forum at Davos, Switzerland. "As a clinician, I would like to treat as many gonococcal infections with ciprofloxacin as possible. More than ever, we rely on accurate and patient-focussed diagnostic strategies to detect and treat STIs,” said Dr. John White, Consultant in Sexual Health and HIV at the Altnagelvin Hospital, Londonderry and Editor-in-Chief of the International Journal of STDs & AIDS. Called ResistancePlus GC, the availability of the new test is timely, as the British Association of Sexual Health and HIV (BASHH) has launched its 2019 gonorrhoea management guidelines to include the use of ciprofloxacin, provided antimicrobial susceptibility results are available prior to treatment. “The new guideline now recommends giving double the previously recommended dose of ceftriaxone (now 1g stat). However, they also indicate ciprofloxacin as a first-line option when antimicrobial susceptibility is known prior to treatment. Not only is this less painful for patients, it is preferable to doctors as it is a cheaper treatment that does not require specialised staff to administer the injection. “If we can use less ceftriaxone this may also help to stall the further development and dissemination of ceftriaxone-resistant strains within Europe," added Dr. John White. As the UK now has the lowest reported rate of ciprofloxacin-resistant gonorrhoea at 26%(8), over 70% of patients could now benefit from the new guidelines and receive oral therapy if they have a test result showing ciprofloxacin susceptibility, such as is offered by the test. ResistancePlus GC was invented by scientists in Australia and is now able to be accessed by clinicians in the UK. It is the first commercially available molecular diagnostic test providing ciprofloxacin susceptibility information and is well placed to support current laboratory molecular testing workflows. Currently, culture methods are the routine test to determine antimicrobial susceptibility, but results can take days to produce, and many rectal (50%) and the majority of throat (70%) samples can be difficult to culture; ResistancePlus GC can overcome these limitations. “We are fortunate here in Europe that most of these infections can potentially be treated with ciprofloxacin using the principles of resistance-guided therapy, provided we have access to accurate and timely resistance information, which is provided by the ResistancePlus GC assay. “It’s great to see novel molecular diagnostics moving beyond just binary positive/negative capability, providing results that help manage patients more effectively by enabling tailored treatment," commented Dr. White. 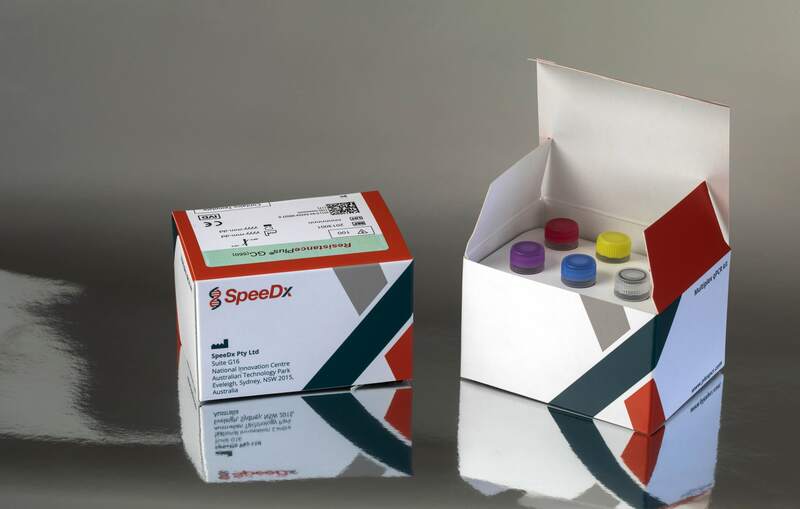 SpeeDx, the company behind the new test, received CE-IVD marking for its ResistancePlus GC assay at the end of 2018, enabling it to be adopted in all countries where CE-mark is accepted – including the UK. It is based on a PlexPCR method that detects both N. gonorrhoeae (GC) and sequences in the gyrA gene of the bacteria associated with susceptibility to ciprofloxacin, in a single test.